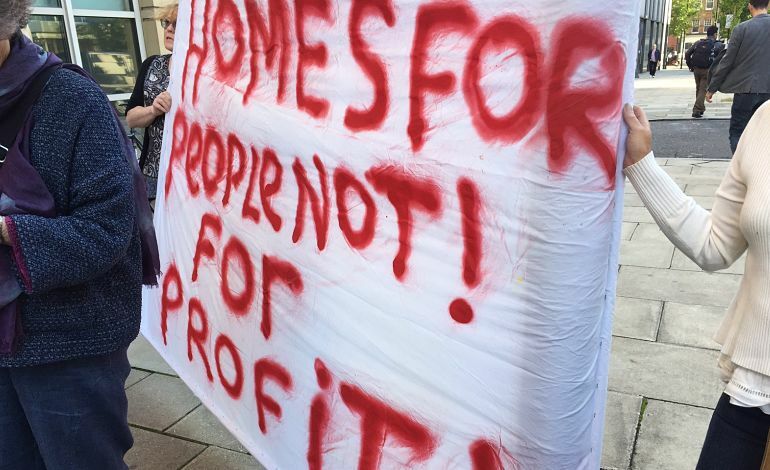 On 13 September, residents from two major housing associations teamed up to ask the groups not to merge, saying it will mean “social cleansing”. And the groups’ conduct so far shows the worrying direction the housing sector is heading in. 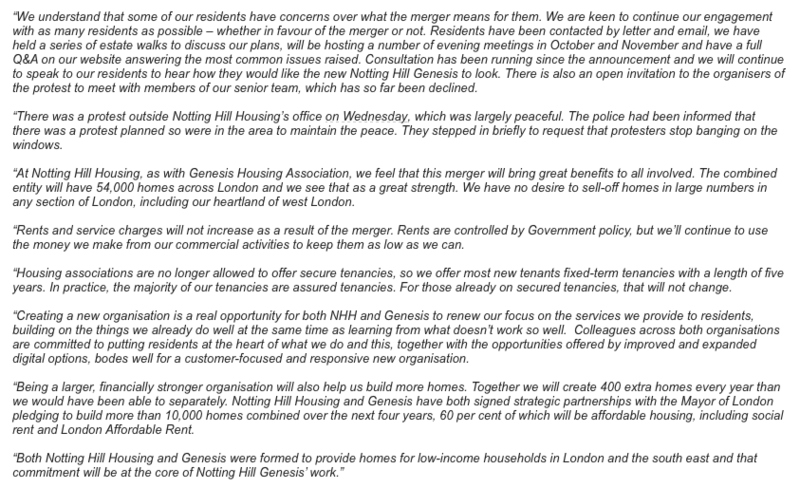 Residents from NHH Association and Genesis… have come together under a campaign to stop the merger that’s happening between [them]. The residents are not happy about this and the reason why they are not happy… is because they know instinctively what this kind of move means. We already know how Genesis [is] treating residents which is absolutely appallingly. People have had rent hikes up to 177%. Leaseholders have had cyclical maintenance rise by up to 800%. And Genesis have also been selling off properties… It really is social cleansing. Verny Dyde claimed that Neil Hadden, CEO of Genesis, said it would not be building social housing any more. She referred to a statement Haddon made in 2015. He said in an interview with Inside Housing that its social and affordable accommodation was not for people “who should be looking to the market to solve their own problems”. And he also said Genesis did want to be more “commercial”. Verny Dyde also referenced Kate Davies’ links to Conservative MP Iain Duncan Smith. She is the CEO of NHH. Davies herself wrote an opinion piece in 2012 saying the benefit cap made several boroughs in London unaffordable. And she said “We will have to end their tenancies, and hand their homes back to the private sector”. She also chaired a working group at think tank Centre for Social Justice, of which Duncan Smith is Chairman, that produced a report arguing for an end to secure tenures. Housing associations are no longer allowed to offer secure tenancies, so we offer most new tenants fixed-term tenancies with a length of five years. In practice, the majority of our tenancies are assured tenancies. 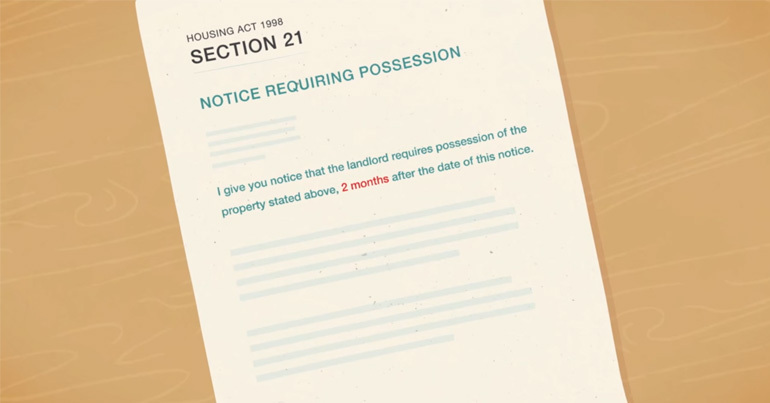 For those already on secured tenancies, that will not change. We already know how wonderful Iain Duncan Smith is. What he’s done for people with disabilities in hand with Capita. Interestingly, Capita have partnered with Genesis, so there are a lot of links there. Kate Davies said they have ‘shared interests’. And I think we know what that means and which way things are heading. Genesis entered into an agreement with Capita’s property and infrastructure business. According to a press release, Capita will “provide the housing association with all of its professional and strategic support”. And it noted that the partnership approach would be of “huge interest to the housing sector”. Capita is a consultancy firm that also provides disability assessors for Personal Independence Payments (PIP). But Capita has been criticised in reports claiming that its staff were rushing tests for benefit claims. Staff reportedly earned £20,000 a month in incentives for meeting targets. And the company earned huge profits; while providing a poor service that its Divisional Managing Director Chris Stroud apologised for in 2016. This happened under Duncan Smith’s watch as Work and Pensions Secretary. NHH secure tenants will find their rents rise dramatically. If mine were raised today, I’d experience a rent hike of about 13.5%. But by 2020 when it lifts it could be more like 20% and that’s if they don’t introduce other charges like service charges, and those who pay service charges will see that percentage increase even more. Rents and service charges will not increase as a result of the merger. Rents are controlled by government policy, but we’ll continue to use the money we make from our commercial activities to keep them as low as we can. 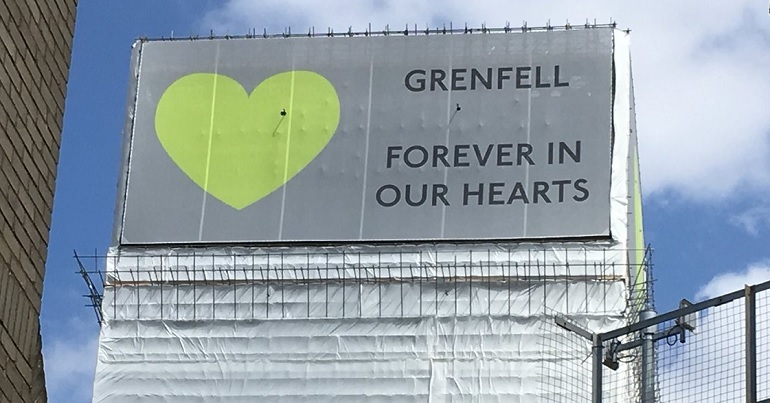 But a member of the Genesis Residents Action Group (GRAG), a leaseholder, did say that they had recently received their first bill for cyclical works since 2009. In a letter seen by The Canary, the Genesis resident complained that there had been a tenfold increase in cyclical work charges. They also noted that the charges included a new 15% management fee. In its response (also seen by The Canary) Genesis stated that the price increases were a result of inflation. And they said that by law they could include a reasonable management fee. Where we identify that works are required, there is a statutory process to go through which is based on making sure that best value for money is achieved and that we consult properly and respond to feedback from residents. Where there are unusual cases where the costs of works are higher than previously, this is often because certain elements –such as roofs and windows – require complete replacement, which can be expensive. Genesis also said their teams can discuss individual cases where residents are concerned about the works. In the same letter, a GRAG member also asked why there was no tender process to get the best prices. Genesis said it was in a qualifying long term agreement (QLTA) with Kier Group to carry out the works. Having carried an initial tender for the QLTA, it did not have to carry out another one. But residents told The Canary they are concerned about Kier Group. They say the tender process must have ignored that Kier had received a fine from the Office of Fair Trading in 2009, amounting to £17.8m. It was the largest fine given for illegal price-rigging in the major contracts scandal, involving 103 companies. Neither NHH nor Genesis provided a comment on Genesis’s contract with Kier to The Canary. They’ve had a pathetic excuse of a consultation over 20 days in August in a time when they don’t even want meetings themselves because they know everyone’s away. She also said that NHH held roadshows to give information to residents but they were difficult to get to. There was allegedly no address, just a street name; and she claims the telephone number provided did not work. But she said NHH finally extended the consultation period. 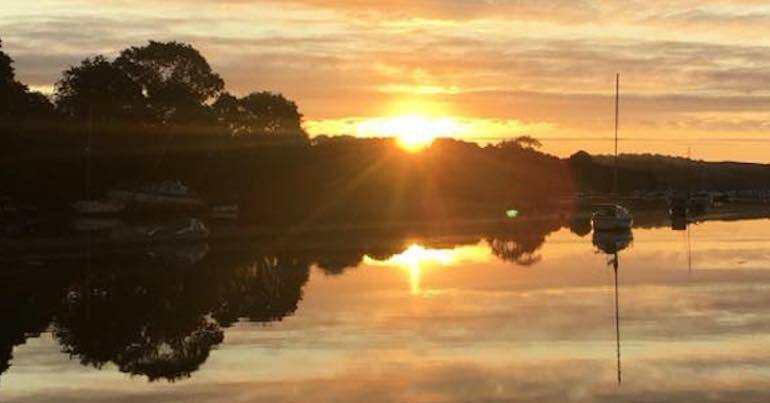 Residents have been contacted by letter and email, we have held a series of estate walks to discuss our plans, will be hosting a number of evening meetings in October and November and have a full Q&A on our website answering the most common issues raised. Consultation has been running since the announcement and we will continue to speak to our residents to hear how they would like the new Notting Hill Genesis to look. There is also an open invitation to the organisers of the protest to meet with members of our senior team, which has so far been declined. NHH comments can be seen here in full and Genesis comments can be seen here. Meanwhile, as The Canary reported on 30 June, residents had been asking Genesis to fix their fire alarms. But the housing association did not, saving itself £20,000, arguing they had no legal obligation to install one. This is despite Genesis making millions in surpluses while driving down operating costs. A member of the GRAG told The Canary that it still had not switched on their fire alarm. Residents are rightly concerned about possible rising rents and charges, which can price people out of their homes. Especially when this is happening while housing associations are profiting from millions in surpluses and accused of providing unsatisfactory services. Merging could enable two large housing associations to achieve economies of scale, perhaps driving operating costs down even further. But bigger doesn’t always mean better. And some of the companies involved have questionable reputations. So their involvement with housing bodies that are there to operate for the social good, should worry us all. – Write to your MP and raise your concern about some of the issues that affect secure and affordable housing. – Read more articles from The Canary on housing.